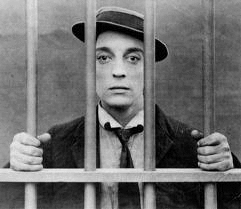 More Buster Keaton oldies will be hitting Blu-ray in March. In an early announcement to retailers, Kino Video has slated 'Lost Keaton: Sixteen Comedy Shorts' for Blu-ray on March 20. Specs have yet to be revealed, but supplements will include film notes on individual shorts, Why They Call Him "Buster", and a photo gallery. You can find the latest specs for 'Lost Keaton: Sixteen Comedy Shorts' linked from our Blu-ray Release Schedule, where it's indexed under March 20.